When I discussed battleship main guns, I mostly glossed over the shells that they fired. The time has come to rectify that error, and discuss the wide variety of shell types that have seen naval service over the centuries. The most obvious way to get shot to do more damage was to hollow it out and fill the inside with explosives, which would then be ignited by a fuze of some sort. 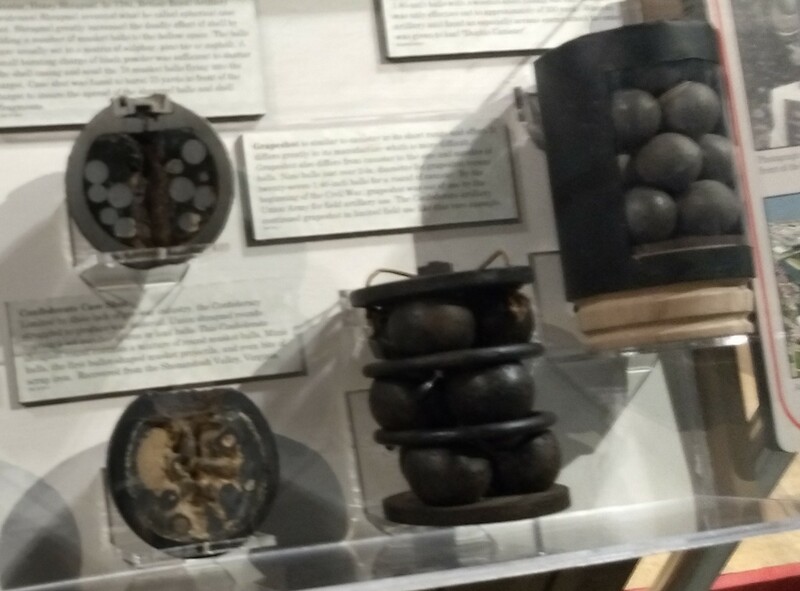 Early attempts to use these "shells" were thwarted by fuze problems, and until the early 1800s, their use was limited to specialized high-angle low-velocity weapons like howitzers and mortars.3 Higher-velocity guns, which were necessary to fire the projectiles at low angles, often damaged the fuzes, causing duds or setting the shells off early. 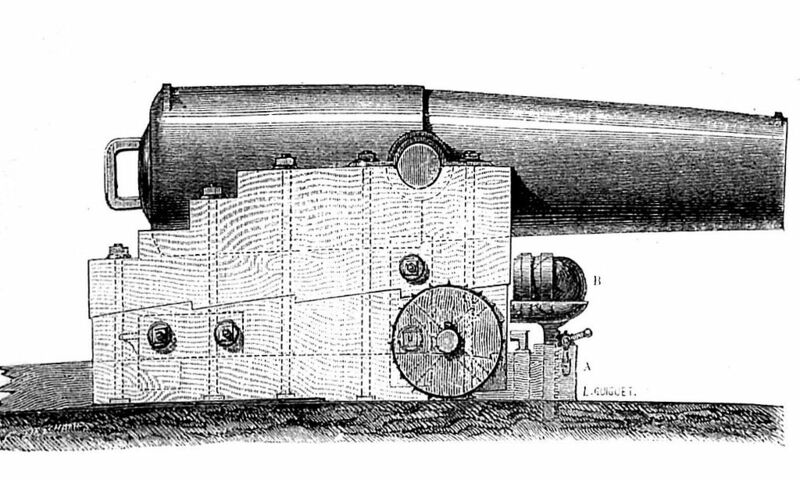 It was not until the 1820s when a successful shell-firing gun suitable for shipboard use was designed, by French general Henri-Joseph Paixhans. 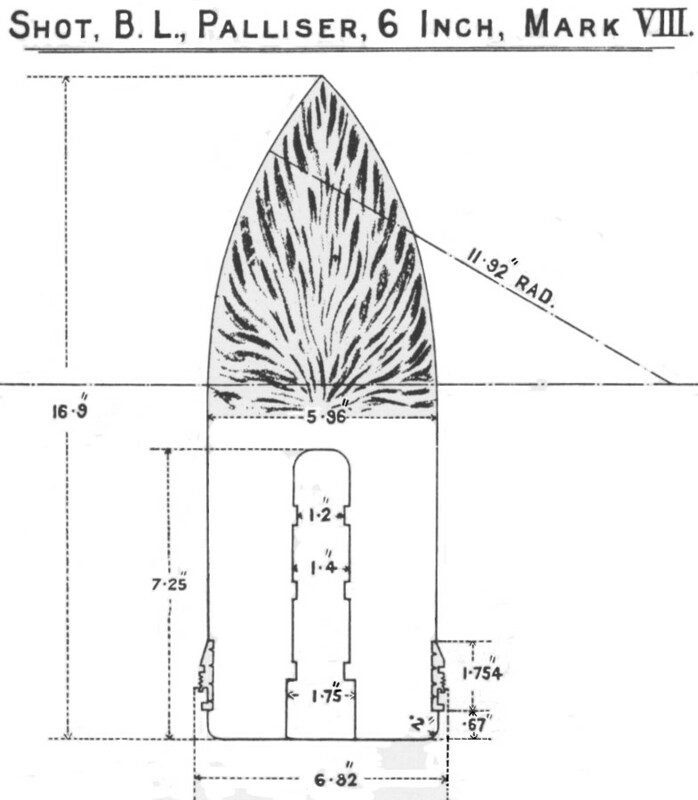 The so-called Paixhans gun fired a spherical shell, with the fuse pointing forward as the gun was loaded, where it would be ignited by hot gasses slipping around the shell, but not destroyed. The fuse was cut somewhat longer than the expected time of flight of the shell, with the hope that it would lodge in the target and then explode. The French, American and Russian navies adopted the Paixhans gun in the 1840s, and they saw sporadic action until 1853, when the Russian use of shells against the Ottoman fleet at the Battle of Sinop brought them into the public eye. 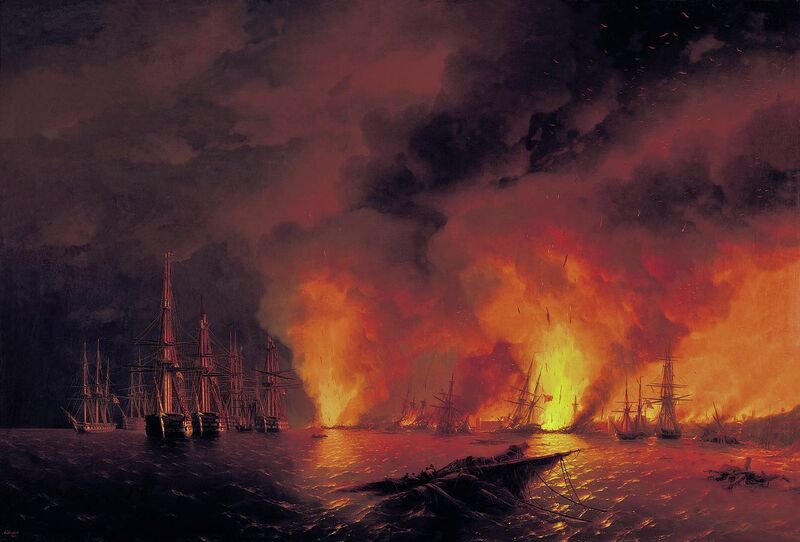 A Russian squadron annihilated a group of anchored Ottoman frigates in about half an hour, killing almost 3,000 Turkish sailors at a cost of only 37 men. This battle, one of the opening moves of the Crimean War, was a major driver in the development of the ironclad. One drawback of the Paixhans gun was that it threw its projectiles at fairly low velocity, reducing range and accuracy and making it ineffective when firing shot. 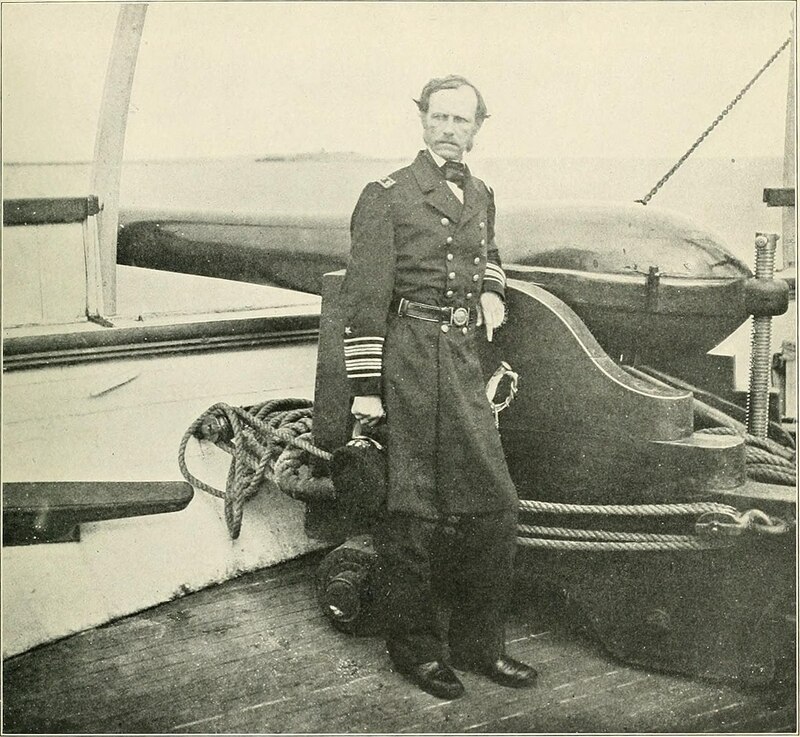 In the 1850s, the Dahlgren gun, developed by American naval officer John Dahlgren, was created to solve this problem. It was considerably thicker than the Paixhans gun, allowing it to throw its projectiles much faster. It could handle both shot and shell, and the distinctive bottle shape was a common sight on land and sea throughout the American Civil War. When ironclads arrived on the scene, shot gained a new lease on life. Shells would either bounce off armored vessels or smash to pieces, and only solid chunks of metal stood any chance of piercing their plate. But unarmored warships soldiered on in many roles, and so the shell never died completely. This era saw great improvements in naval ordnance, notably the widespread introduction of rifling and the growth of guns. 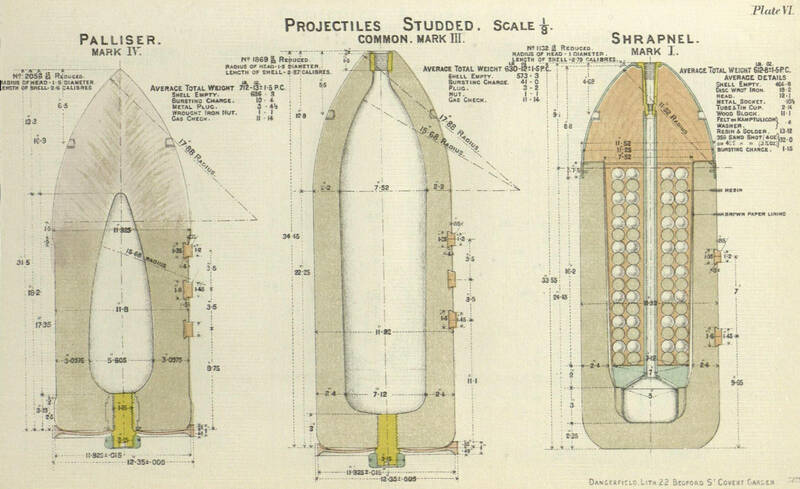 Rifling meant that shot and shells flew in a predictable orientation, and spheres were swiftly replaced with longer, pointed projectiles, which gave greater range and punch. This allowed another improvement in shell design. 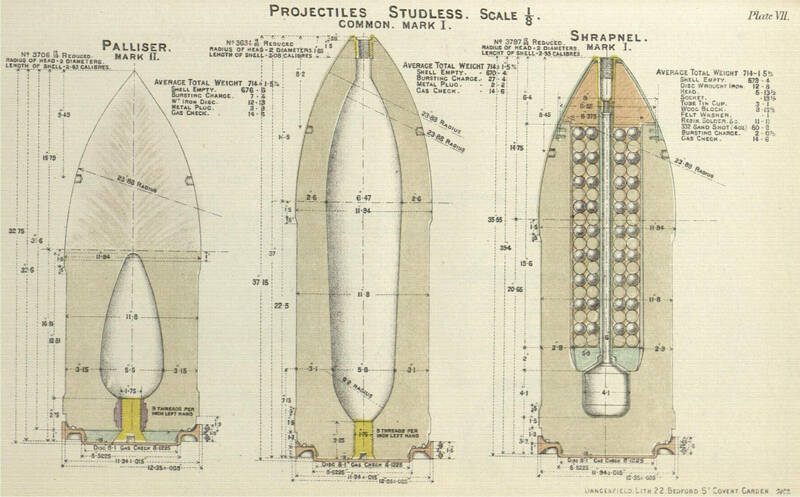 All of this takes us only through the start of the breech-loading era (at least in British service), but that era would see great strides made in naval projectiles. I'll pick up the story there next time. On bomb vessels: They had to be exceptionally strongly built to cope with the recoil from the mortars, which meant that after they became outmoded militarily, many were repurposed as polar exploration vessels. The Antarctic volcanoes Mount Erebus and Mount Terror are named after James Ross's expedition ships, both of which were former bomb vessels, and were later lost with Franklin's expedition to find the Northwest Passage. On destruction of ships by cannon fire: In the round-shot era, this was rare. Exactly one ship was destroyed at the Battle of Trafalgar, the French Achille. I believe what happened there is that a fire broke out in the rigging (possibly something to do with a match kept up there to light grenade fuses, as sailors in the fighting-tops would throw grenades from them during battle), and when the burning mast was brought down by gunfire, the rest of the ship caught fire then exploded. Plenty of others were "mission killed" either by casaulties to the crew or by damage to the masts and rigging, and many of those were either burned by their captors or lost in the storm after the battle. I think the Royal Navy had more fun than usual picking names for bomb vessels. This is reasonably common when people are asked to name minor ships that fall outside the traditional naming structure and class conventions. And I will cheerfully admit to not making a full examination of the weapons of the age of sail, mostly because that wasn't really where I was trying to go with this post. Don't worry, I'm happy to keep adding Age of Sail asides in the comments if you don't mind, or to stop if you do. In terms of heated shot, I was wondering about the practicality of its use at sea. It turns out the answer was "not very". 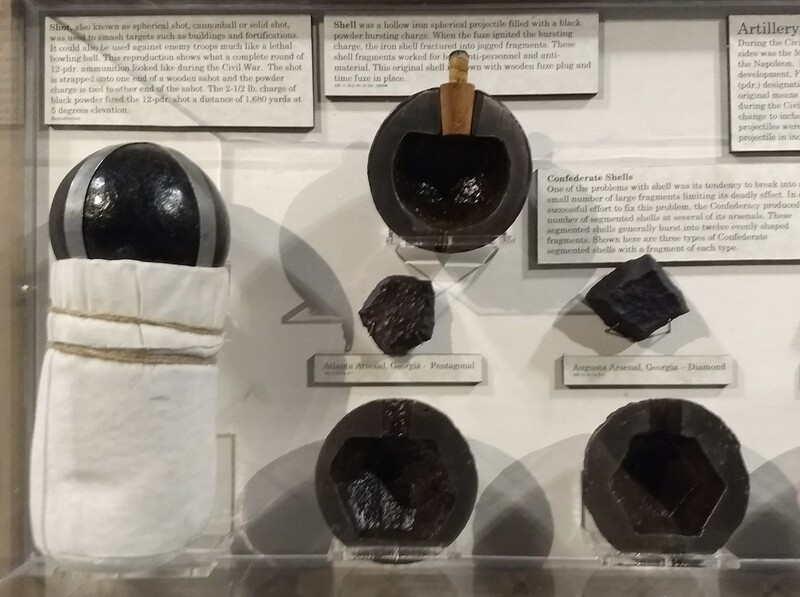 The red-hot 24-lb cannonballs could only be carried from the furnace to the guns one at a time, and the Constitution carried only one pair of tongs and ladle for doing so. There was no question of firing a red-hot broadside, as the first shot would have cooled by the time the last one was loaded. With this and various precautions that had to be taken to stop the heated shot igniting the charge in the gun, I think the only intended use for the shot furnace would have been in a chase, where many fewer guns would have been in use anyway. Go right ahead. I have nothing against the Age of Sail, I just don't care as much about it as I do about the steam and steel era. If you want to talk about it at greater length, I have Friday slots you're welcome to. That's a good thought on the heated shot furnace on Constitution, and it was swiftly confirmed when I went hunting for information on it. The original intent was to use it from the stern guns if the ship was outmatched, not for general service. And I definitely didn't know about the Danes using them that way. Thanks very much for the offer of the Friday slots- I don't think I currently have time to take you up on it, but I'm honoured that you made it. Fair enough. It's something I'd like to cover/have covered eventually, but I'm pretty sure I'll be able to think up new topics at a rate great enough to keep me in the post-1850 era indefinitely.